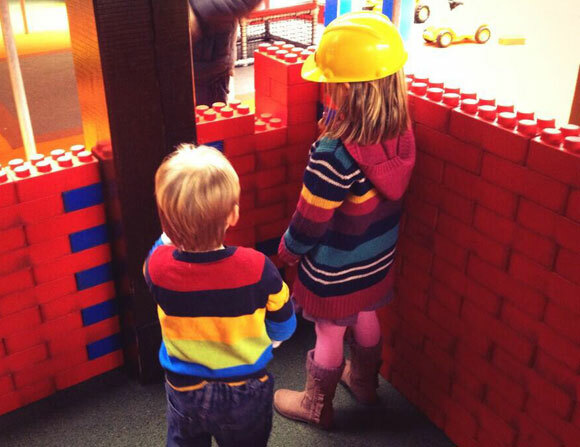 Play is how children learn about the world, so the toys on offer to them really matter. This British Science Week, science educator Wendy Sadler looks at how toys can help develop the scientists and engineers of the future, and offers some ideas of what to look for. I’m a scientist, a physicist in fact – a subject where women are dramatically under-represented. Looking back at my own childhood, my favourite toy was definitely Lego. I used to spend hours constructing elaborate houses and structures and I decided this was so much fun that I wanted to be an architect. Sadly an uninspiring work experience placement put an end to that – but I’ve stuck with science and the best bits of my job are about the freedom to explore and find new things out about the world. 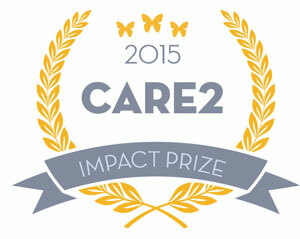 So what toys can we use to develop the skills of our future scientists and engineers? Do high tech toys teach STEM skills? The lists of Top Ten toys sold last Christmas certainly contain lots of technology; with a robotic dinosaur, a smart watch and voice-to-text Google connected doll. But to my mind, although they showcase technology, not many of them help you explore how things work, or let you experiment for yourself. What kind of toys are out there to help you with that? Lego has such enduring value because (at its best) it is a science toy that encourages open-ended exploration and merges creativity with problem solving skills. Another great construction toy that is much less well known is ‘Magformers’. 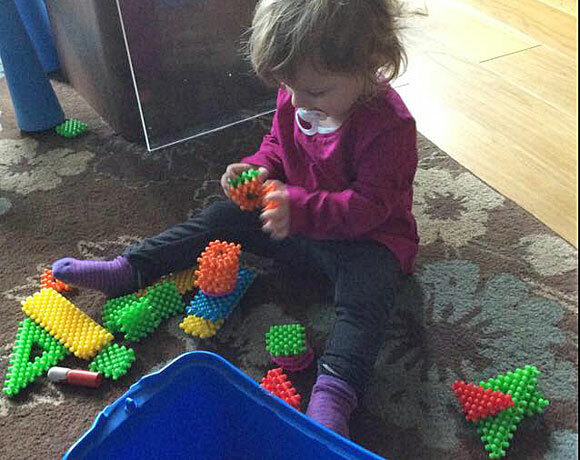 Magnetic construction toys like this encourage creative design and a quite mathematical understanding of how 3D shapes are constructed from flat shapes.ended exploration and merges creativity with problem solving skills. A friend of mine bought us a set when my son was born and they have been an enduring hit with both kids for years due to the pleasing feeling of creating a new design that holds itself together with magnetic forces. The best science toys have elements of creativity and open ended-ness that many high-tech toys just can’t match. Think of the longevity of marble runs, train tracks and Lego. All of these allow you to explore basic ideas of engineering, forces, gravity and motion together, and at the same time you are creating something that you have complete choice over. Hard to beat. 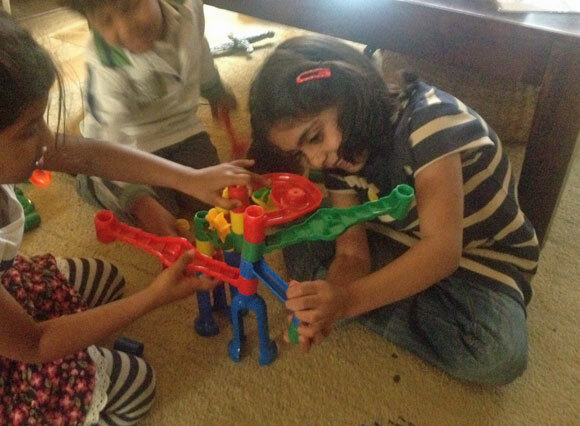 Children learn about gravity and stable structures with a marble run. One of the other most enduring toys are Hot-wheels tracks which again allow a lot of flexibility. I’ve spent hours with my daughter and son trying to create a track that allows a car to jump just high enough to clear different items by varying the height the car starts at and the point that the track ends so the car takes off. We then try cars of different weights and shapes to see if that makes a difference to how high or how far they jump. They may not realise it but when they come across potential and kinetic energy, they’re going to think back to these experiments and it should all make a lot more sense. If you want something a bit more unusual and intriguing, or you like the ‘magic’ illusion type of science activity then I’d recommend the site www.grand-illusions.com where you can find such intriguing items as levitating magnets and paper that reveals the hidden magnetic patterns in fridge magnets! This kind of counter-intuitive experiments give children the inner knowledge to become the presenter of a science curiosity to other members of the family, which is great for building self-esteem. They often appear at first glance to be magic, but on further investigation can teach a lot of basic science principals. When science toys are stacked in the ‘Boys’ toys’ aisle in a toyshop, or only appear in ‘Gifts for Boys’ in a catalogue or gift guide, girls are clearly missing out. Sadly the response to this is often to create special ‘girl’ versions of science products with a focus on beauty and toiletries, reinforcing stereotypes about girls’ interests and cementing the idea that the mainstream products aren’t really for them. Personally I think there is no need to create girls’ versions of toys to encourage girls to play with them. But some attempts have created some interesting ideas that are worth looking at. 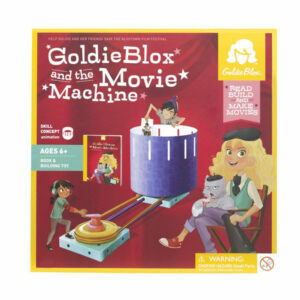 Goldie Blox is about adding narrative to engineering problems. Each engineering kit is accompanied by a book that puts the challenge in context of a story with characters. Founder Debbie Sterling argues that this is a particularly effective way of engaging girls in engineering. Not everyone is convinced about the need to add pink ribbon and puppies into the mix, but in essence the skills required to solve the problems do involve learning about cogs, gears and drive belts in a fun way, and many children (both boys and girls) will be engaged by the idea of adding a narrative to the engineering problem. Definitely worth a look. If you want your experimentation to last longer than the average toy then you might be better off looking closer to home and spending a bit of time improvising and going low-tech, or even no-tech! If you’re on a really tight budget have a look at the videos produced by the Royal Institution (RI) – famous of course for their annual Christmas Lectures on TV. They have made a series of films called ‘ExpeRImental’ that are all about getting you doing some science at home with the family. Most of these only use stuff you’ll already have around the house and it can save you a lot of money compared to buying ‘science kits’ which basically often package up household ingredients and label it up for convenience. Wendy Sadler is Director of Science Made Simple, a social enterprise with a mission to inspire the next generation of scientists and engineers and engage the wider public with STEM (Science, technology, engineering and maths). If you’d like to know how to make your own Star Wars sound effects or home-made rockets, take a look at their science activity ideas. Totally agree toys, books&other items should not be ‘dressed’ up so to speak to cater to just one gender. However, I feel as if it’s important to also teach girls that even though a robotics kit or science game is in the boys section, that doesn’t mean they can’t want it or play with it. Better still, let’s just make sure there isn’t a ‘boys section’ at all. 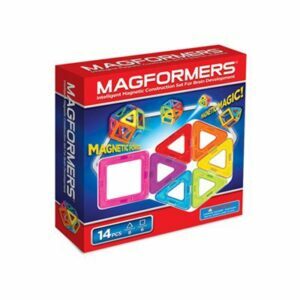 Just popped across to the Magformers website as I’ve not heard of them and thought they look super. It’s a shame to fine that they have some special pink ones for girls. ‘This starter set is designed especially with her in mind. Pink, Purple, Light Blue, and Teal coloured shapes are a great way to get young girls interested in the learning and creativity of MAGFORMERS.’ Oh dear. On the bright side it reminded me of the hilarious reviews on amazon for ‘Bic for her’, have just wasted a good amount of time reading some again, very funny. I love science toys, they are so engaging and my children spend hours playing with them, much better than sticking them in front of a screen on a games console.